A few weeks ago, Hopes & Fears contributor Dan Kolitz, creator of The Printed Internet, launched a sprawling interactive website called The Data Drive. The project, part of Adrian Chen's new online publishing venture Useless Press, allowed you to explore a fictional, analog Facebook-based universe, populated by surreal articles and featuring bizarre brand interactions. Deep within the site was a screen that prompted visitors to input their own data into a text box. They could enter whatever they wanted, but where that data would end up was a mystery. 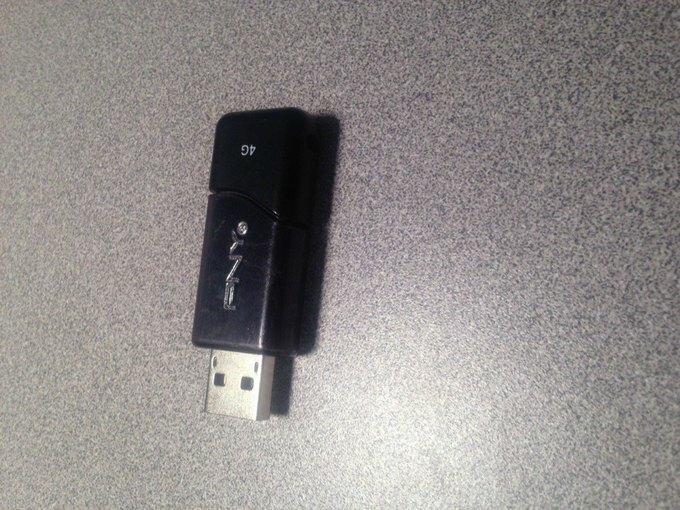 Now we know: today, a USB drive appeared on eBay, containing all of the data users inputted to The Data Drive. According to the listing, the drive includes 3500 pieces of data from 1700 unique visitors to the site. "Data includes: off-hand thoughts, gibberish, seemingly random numbers, incriminating secrets, confessions, marginally-funny one-liners and much more!" the listing reads. I claim to enjoy art, but secretly wonder how much of my enjoyment is for the benefit of people around me. At least two three letter agencies have my name on a list as a person of interest involving sorcery. I hate how many granola bars I've eaten today (3). The bidding is running for six days and is currently at $70. It's unclear what will be done with the proceeds. update: According to Kolitz, half of the money will go to him directly and the other half will go to Useless Press for future projects.